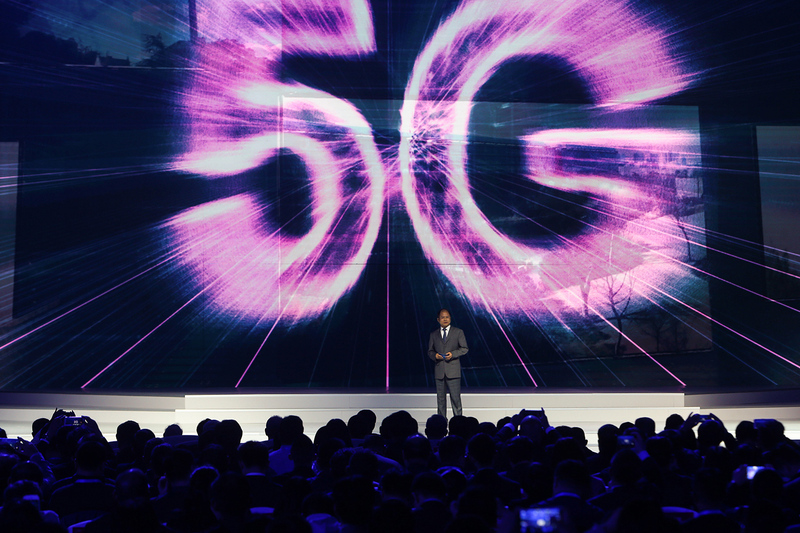 It has been nearly a decade in the making, but 5G is finally becoming a reality. Carriers started rolling out fixed 5G to select cities in 2018, and mobile 5G will start making appearances in cities around the U.S. in 2019, with much more comprehensive rollouts expected in 2020. Right now it seems like there are more questions about 5G than there are answers. People are wondering what 5G is, and if they’ll ever see it in their city, while others are more interested in 5G smartphones. And of course, there is the debate about which carrier will have the best 5G service. If you have questions, we’re here to help. Here’s everything you ever wanted to know about 5G. Before we explain how 5G works, it’s probably a good idea to explain what 5G is. There are a lot of specifics, which we talk about later in this post, but here’s a quick primer. 5G is the next generation of mobile broadband that will eventually replace, or at least augment, your 4G LTE connection. With 5G, you’ll see exponentially faster download and upload speeds. Latency, or the time it takes devices to communicate with each other wireless networks, will also drastically decrease. Now that we know what 5G is, it’s a good idea to understand how it works, since it’s different from traditional 4G LTE. From spectrum bands to small cells, here’s everything you need to know about the inner workings of 5G. Unlike LTE, 5G operates on three different spectrum bands. While this may not seem important, it will have a dramatic effect on your everyday use. Low-band spectrum can also be described as sub 1GHz spectrum. It is primarily the spectrum band used by carriers in the U.S. for LTE, and is quickly becoming depleted. While low-band spectrum offers great coverage area and penetration, there is a big drawback: Peak data speeds will top out around 100Mbps. T-Mobile is the key player when it comes to low-band spectrum. The carrier picked up a massive amount of 600MHz spectrum at an FCC auction in 2017 and is quickly building out its nationwide 5G network. Mid-band spectrum provides faster coverage and lower latency than you’ll find on low-band. It does, however, fail to penetrate buildings as well as low-band spectrum. Expect peak speeds up to 1Gbps on mid-band spectrum. Sprint has the majority of unused mid-band spectrum in the U.S. The carrier is using Massive MIMO to improve penetration and coverage area on the mid-band. Massive MIMO groups multiple antennas onto a single box, and at a single cell tower, they create multiple simultaneous beams to different users. Sprint will also use Beamforming to improve 5G service on the mid-band. Beamforming sends a single focused signal to each and every user in the cell, and systems using it monitor each user to make sure they have a consistent signal. Both AT&T and Verizon are rolling out on high-band spectrum. 5G coverage for both carriers will piggyback off LTE while they work to build out nationwide networks. Since high-band spectrum trades off penetration and user area for high speed and coverage area, they will rely on small cells. Small cells are low-power base stations that cover small geographic areas. With small cells, carriers using mmWave for 5G can improve overall coverage area. Combined with Beamforming, small cells can deliver very extremely fast coverage with low latency. Carriers are running out of LTE capacity in many major metropolitan areas. In some cities, users are already experiencing slowdowns during busy times of the day. 5G adds huge amounts of spectrum in bands that have not been used for commercial broadband traffic. Since 5G has remarkably low latency, remote control of heavy machinery will become a reality. While the primary aim is to reduce risk in hazardous environments, it will also allow technicians with specialized skills to control machinery from anywhere in the world. The ultra-reliable low latency communications (URLLC) component of 5G could fundamentally change health care. Since URLLC reduces 5G latency even further than what you’ll see with enhanced mobile broadband, a world of new possibilities opens up. Expect to see improvements in telemedicine, remote recovery and physical therapy via AR, precision surgery, and even remote surgery in the coming years. Remember Massive Machine-Type Communications? mMTC will also play a key role in health care. Hospitals can create massive sensor networks to monitor patients, physicians can prescribe smart pills to track compliance, and insurers can even monitor subscribers to determine appropriate treatments and processes.